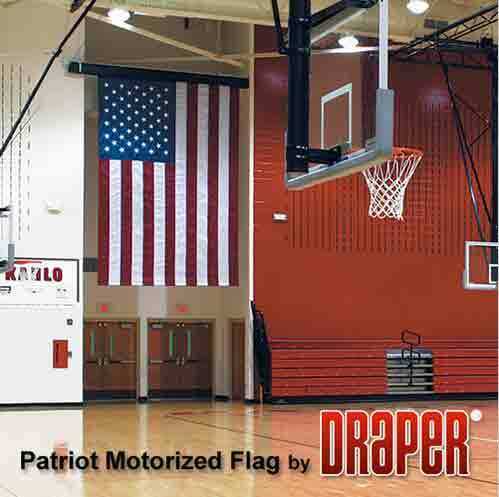 • Standard product includes a sewn, nylon flag. • The flag measures 12’ x 18’ (366cm x 549cm) with both mountings. • Universal Mounting Bracket may be suspended from above, or mounted to wall. Each bracket consists of a front and back piece bolted together. 2 supplied on vertical flags; 3 supplied on horizontal flags. • Options include state flags or school banners, provided by customer.